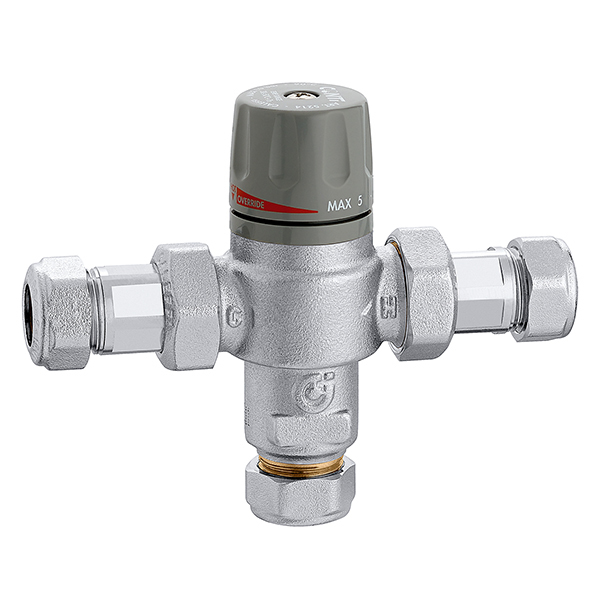 Thermostatic mixing valve with scald protection and override function (TD). With check valves, strainers at the inlets and compression ends. For temperature controle at the distribution point.